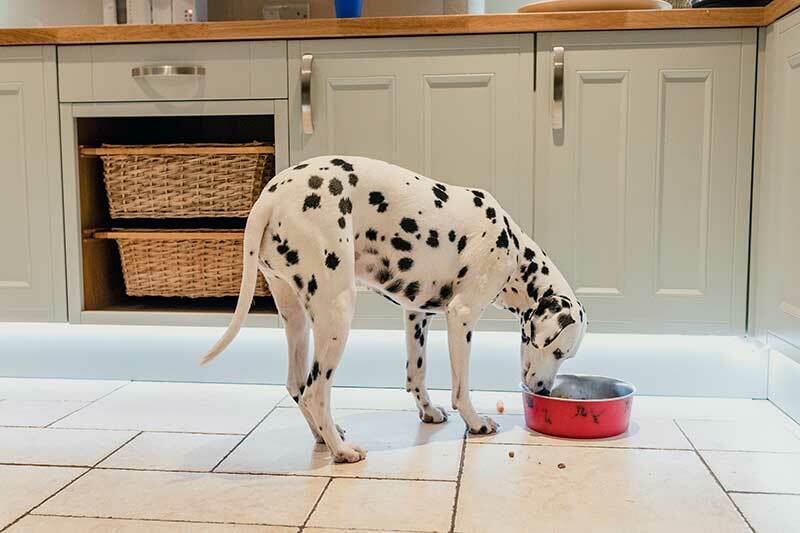 In July 2018, the FDA published a report that linked certain cases of canine dilated cardiomyopathy (DCM) to exclusively grain-free diets. Dogs in the study experienced symptoms such as coughing, difficulty breathing, and episodes of collapse. DCM can occur in pets for a variety of reasons, including breed and other genetic factors, but a deficiency of the amino acid taurine (most commonly found in meat and animal products) can also contribute to the condition. The diets in the study included potatoes, peas, lentils, and other legumes as the primary sources of carbohydrates and protein, although it isn’t yet understood how these specific foods contribute to DCM. Some of the dogs in the study recovered once their diets were changed. A common reason for choosing a grain-free diet is the concern over food allergies. It’s important to note the most common ingredients that can trigger an allergic reaction in pets are beef, dairy, and soy-based products. If you’re concerned your pet may be suffering from a food allergy, please contact us to schedule a consultation. Although the argument is often made that dogs didn’t evolve eating grains and therefore shouldn’t eat them now, this is simply not true. Dogs, like people, are omnivores, and although their ancestors probably didn’t eat grains, modern dogs possess several genes that allow for the complete absorption of grain products. It’s important to speak with your veterinarian before making any changes to your pet’s diet. We’re happy to help you develop a nutrition plan to meet the specific needs of your pet. If you have additional questions or concerns, please don’t hesitate to contact the team at Rocklin Ranch Veterinary Hospital!